When I went to work for Motorola in 1974, one of the first things on my training schedule was to watch a film called, The Everglades and After. A 28-minute color film that told the story of the rescue of 78 survivors of a jumbo jetliner crash in the Florida Everglades on December 29, 1972. It shows the heroic efforts by hundreds of people from military and civilian organizations to rescue and preserve the lives of the survivors. It is a unique example of disaster relief operations on a large scale involving the use of helicopters for mass evacuation of casualties and the emergency medical services of six hospitals. The lesson we were supposed to learn from this tragedy, was that all the many different agencies that responded to rescue survivors were equipped with radio communications equipment, but none of them could talk to each other. There were many state, county, and city vehicles, as well as military vehicles that responded down a few narrow roads in the Florida everglades. The result was a giant traffic jam. There were police, fire, ambulances, and every kind of emergency vehicle you can think of on land and in the air—and all the radios were useless because most of them were on different frequencies. We were assured that this would be corrected in the future. That an inter-agency communications plan would be adopted to ensure orderly and efficient communication among all public safety agencies. Well, nearly 40 years have passed and I don't think very much has been done to solve this problem. Inter-agency communications today is mainly over cellphones and everyone knows that they don't work in times of emergency because everyone is trying to use them at the same time. Our national emergency notification system has become CNN Headline News. A sad state of affairs, especially eleven years after 9/11—a day in infamy in this country only equaled by Pearl Harbor. MUST WE REPEAT OUR MISTAKES? Dean was one of us—a paging person, and Ron Mercer's son. He was out of work for over two years fighting cancer. Dean passed away on September 9, 2012. He leaves behind his wife Karen, six children (aging from 31 to 11) and a granddaughter. If ever there was a worthy cause, this is it. The medical bills and the loss of his income have put his family in serious financial trouble. A site has been established to accept donations on behalf of the Mercer family. All proceeds will be deposited directly into a private bank account to help pay for the family's medical bills and future living expenses. If you can help, please click on the following link. I know I have already made several appeals for support, but unfortunately there has been very little response from the paging community. I am not supposed to tell this, but the temperature has been hitting record highs out there in Southern California—well over 100°—and the Mercer family's air conditioner has been out of order for several weeks. How can we allow another family to be totally destroyed financially—through no fault of their own—in a country as rich as America? I remember when I was attending an EMMA meeting in Helsinki, Finland a few years ago—a very clean, prosperous, and modern city. My friend Jim Nelson had to make an emergency trip to a local hospital. They took good care of him and the cost was zero. Almost all wealthy nations provide universal health care (the US is an exception). In the LETTERS TO THE EDITOR section this week Allan Angus sends his comments to some academics who are “off base” when it comes understanding Public Safety Communications. Allan is uniquely qualified to address them in a language that they can relate to and understand. Some of the rest of us may need some extra tutoring on the subject of the difference between Gaussian Distribution and Power Law Distribution i.e. the bell curve, the power law curve, and how they apply to the offered load in a communications network. I encourage you to read Allan's work. He put a lot of thought and effort into this and it is applicable to Wireless Messaging. Please don't say to yourself, “I am not technical so I don't need to read this.” You will be technical after you finish. The false sense of security* we get when we routinely and casually use our telephones and cellphones, gets totally destroyed if and when we really need to use them. It is truly ironic that when we need them the most, they won't work. Sort of like the sinking of the “unsinkable” Titanic. * To make someone feel safe when they are not. 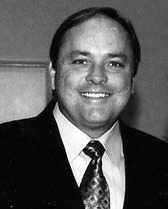 Dean, 50, passed away on Sunday, September 9, 2012. He was born October 12, 1961 in Montreal, Canada to Ronald and June Mercer. Dean married Karen Minkow, June 16, 1990 at the Bel Age Hotel, Los Angeles. Dean was very involved in the community for many years through youth sports. 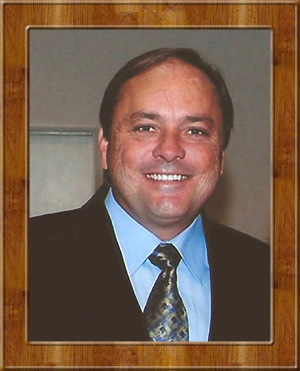 He was a board member of Agoura Pony Baseball for several years in addition to being a coach and an umpire. Dean positively impacted many kids through sports. He also loved cooking and baking, everything about Christmas, and spending as much time as he could with his family. Dean is survived by his wife of 22 years, Karen. and their children Zachary, Megan and Hannah; also beloved father of Douglas, Kyle and Stephanie of New York; son of Ronald (the late June) and step-mother Marcia of New York; much loved brother to Darrin of Florida, and Mundi Herron (Danny) of New York; and grandfather to Jade of New York. A Memorial Service will be held on Friday, September 21, 2012, at 1:00 pm at the Oak Park Community Center, 1000 N. Kanan Road, Oak Park, CA 91377. Thank you for reading our e-mail. Thank you for reading our recent email; we would like to offer you a complimentary demonstration, at your location, of our ResponseView System to show you how it can save you time during an emergency event. 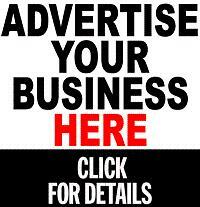 All you have to do is click here to request and arrange an on-site demo at your convenience. Critical Response Systems (CRS), a provider of mission-critical communication systems, announces several enhancements to its public safety communication systems. 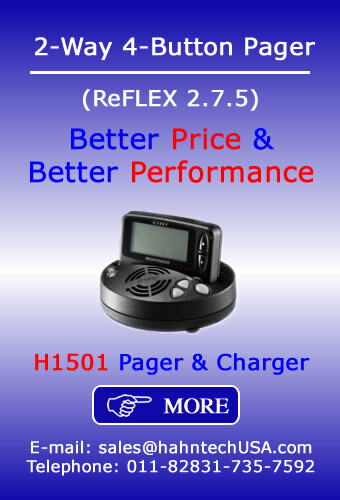 Responders can now proactively set their general status using their M1503 pager, prior to incident-related messages. This allows dispatchers and commanders to asses overall readiness with a glance at the ResponseView agency dashboard. Agencies can set custom status messages such as in service, at lunch, in maintenance, according to their own standards and procedures. Incident commanders not only know who receives and reads each message, and how they are responding, but also who is in a position to respond before the next incident even starts. 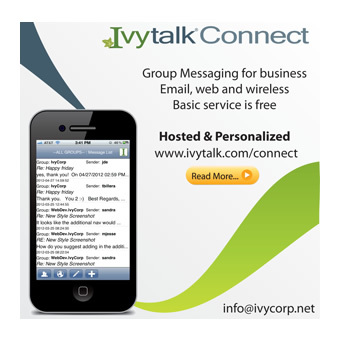 ResponseView is the response dashboard component of the SPARKGAP™ critical messaging system. 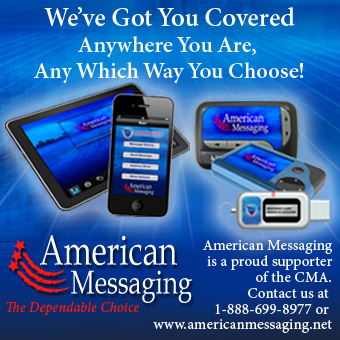 It provides authorized command staff with immediate access to messages, alerts, and response information in real time. Commanders in the field can see who received and read each message, and how they are responding to any given incident. Since many public safety agencies are dispatched by consolidated 911 centers, CRS has enhanced ResponseView by allowing individual agencies to customize their reply options. Personnel can thereby reply with agency-specific responses (e.g. arriving station #1 ) to provide specific context to their commanders. Together with the customized general status capabilities of the M1503, the dashboard gives commanders a complete overall incident snapshot at a glance. 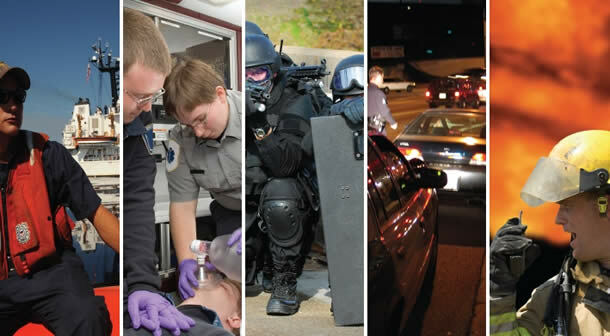 Critical Response Systems is dedicated to providing public safety professionals with the right critical messaging solutions to know who is responding, where they are, and when they will arrive on scene. 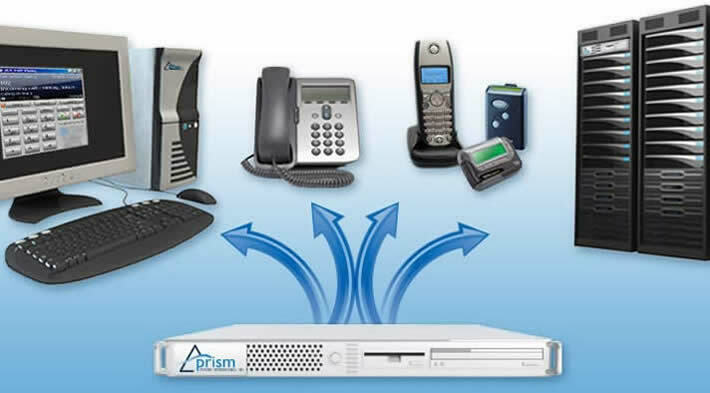 Call CRS today at 866.372.9578 for more information on these latest enhancements or visit us here for additional information about all our solutions. You can also click here to read out latest blogs on various issues related to critical alert messaging. Critical Alert Systems (CAS), parent company of UCOM Paging, Teletouch Paging and Intego Software, has become an exclusive reseller for Mobile Heartbeat. The agreement gives CAS reseller exclusivity in the paging market. The Mobile Heartbeat suite consists of three components integrated into a single, intuitive smartphone application and data server designed to deliver up-to-the minute, personalized patient information to designated smartphones. "Mobile Heartbeat is a natural fit with our CommonPath nurse call and critical messaging technology, and we're excited to share it with our existing and new healthcare customers," said Critical Alert Systems President Ted McNaught. "Mobile Heartbeat's ability to deliver a live feed of patient data and test results directly to a clinician's mobile device, while maintaining HIPAA standards, is a game-changer for hospitals looking to measurably improve the quality and efficiency of care." In addition to pushing lab results through instant alerts, Mobile Heartbeat lets clinicians quickly find and contact other caregivers in and out of the hospital. The system allows real time telemetry and nurse call alarms, as well as pharmacy requests and doctors' orders, to be received on a designated hand-held device. The Mobile Heartbeat solution connects seamlessly with Hospital Information Systems, nurse call, telemetry and other third party systems through readily available interfaces. And all that's required is a Mobile Heartbeat server, software and custom docking station for mobile devices. The system can deploy on standard iPhone, iPad and Android devices, and using existing WiFi networks, allows clinicians to make VOIP calls. More information is available at www.mobileheartbeat.com . Critical Alert Systems provides communication and workflow systems and technology that help healthcare organizations save lives and deliver faster, more efficient patient care. The company's services include fast and reliable critical messaging for emergency medical and disaster response teams as well as software-driven patient-to-caregiver communication systems that provide measurable improvement in patient satisfaction and staff efficiency. Critical Alert Systems delivers services to more than 500 healthcare facilities nationwide through its subsidiaries Intego Software LLC, UCOM Paging and Teletouch Paging. 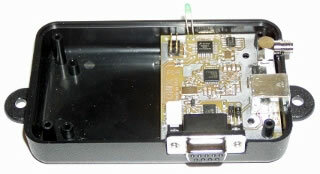 More information is available at www.criticalalertsystems.com . Orders for the iPhone 5 topped 2 million in their first 24 hours, more than double the amount of its predecessor over the same period. Since Apple started taking iPhone 5 orders on its website at 3 a.m. EDT on Friday, buyers who have a two-year service agreement with AT&T, Sprint or Verizon Wireless have been able to order the phone for $199 (16 gigabyte model), $299 (32 GB) or $399 (64 GB model). Apple said Monday that while most orders will be delivered on Friday, demand for the iPhone 5 exceeds the initial supply. As a result, some of the devices are scheduled for delivery in October. The Cupertino, Calif. company's stock added 1.2 percent, or $8.50, to close at $699.78 on Monday. The iPhone 5 represents the first major revision of the iPhone's screen size since the first model was introduced in 2007. The new iPhone has an elongated screen _4 inches (10.16 centimeters) measured diagonally_ that allows room for another row of icons and lets widescreen movies fit better. The calendar will now show five days at a time instead of just three. Previous iPhone models had 3.5-inch (8.89-centimeter) screens. The new phone is also thinner and weighs less than previous models. 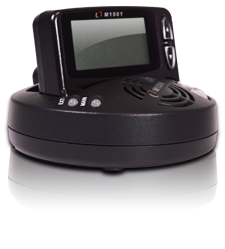 It can operate on LTE cellular networks and sports a new processor and updated software. T. Michael Walkley, an analyst with Canaccord Genuity, said he believes the iPhone 5's "differentiated form factor versus the iPhone 4S" and other improvements should drive strong iPhone 5 sales. The record advanced orders on Friday and through the weekend caused Walkley to revise his previous prediction that Apple would sell 6 million of the new iPhones by September 29. He now believes "Apple could ship 9 million to 10 million" in that time, he told investors in a note on Monday. Janney Capital Markets analyst Bill Choi said Apple's announcement Monday "suggests iPhone 5 is running well ahead of iPhone 4S." In a note to investors, Choi reaffirmed his earlier expectation that Apple will sell 7 million to 10 million iPhone 5s by the end of September. It won't be easy for Apple to top the breakneck sales pace set by previous iPhones. Apple said last year that it sold over 4 million iPhone 4Ss just three days after its launch on October 14. That launch occurred less than two weeks after the death of Apple's iconic founder Steve Jobs and as the iPhone 4S went on sale, scores of Apple devotees were still mourning him with candlelight vigils and impromptu memorial ceremonies outside of Apple stores across the globe. The iPhone 5 will be available at Apple's 356 U.S. stores starting Friday. Each customer who makes a purchase at an Apple store will be offered free personal setup service, which will help them customize their device. The phone will be available in more than 22 countries on Sept. 28. Aside from Apple stores, the iPhone 5 will be available at Apple's website as well as through AT&T, Sprint, Verizon Wireless, some Best Buy, RadioShack, Target and Walmart stores and certain Apple authorized resellers. Earlier Monday AT&T Inc. said it set a sales record for the iPhone 5, with customers ordering more of them than any previous iPhone model on the first day of orders and over the weekend. Blackboard's mass notification system has been updated with better data integration features and automatic messaging to IP endpoints, such as voice-over-IP phones. Blackboard Connect is a multi-modal notification system that school officials can use to send messages through voice, email, text, fax, pager, Facebook, and Twitter. Since its release a year ago Blackboard Connect 5 has sent messages to 28 million people around the world, the company said in a statement. The latest round of enhancements includes new data integration tools, such as a client-side data uploader program to streamline data integration and give users more control over the integration process; automated contact database integration between Blackboard Connect and Blackboard Engage (previously Edline); and scheduled synchronization with secure file servers for automated, routine notifications. The newest version also includes a boost to single-sign-on; enhanced geo-targeting capabilities and weather templates for automated weather alerts recorded in a human voice; and internationalization improvements, such as interface support for right-to-left alphabets such as Arabic and Hebrew. "The rapid adoption of Blackboard Connect 5 speaks to the platform's innovative, reliable and easy-to-use technology for effective emergency notification and community outreach," said Ed Miller, president of Blackboard Connect. "We've streamlined the data integration, message creation and delivery process so that communities receive more relevant, targeted information faster than ever before. The result is communities that are more informed, engaged and secure at all times." Blackboard Connect users include Ohio University in Athens, Grand Rapids Community College in Michigan, and the University of Notre Dame in Indiana. Google has rejected a request by the White House to take down an online controversial YouTube movie clip that has ignited anti-American protests in the Middle East, according to Reuters. Google said, however, that it was censoring the video in India and Indonesia after blocking it last Wednesday in Egypt and Libya, where U.S. embassies have been stormed by protesters enraged over depiction of the Prophet Mohammad as a fraud and philanderer. Last Tuesday, the U.S. Ambassador to Libya and three other Americans were killed in a fiery siege on the consulate in Benghazi. Google said it was further restricting the clip to comply with local law rather than as a response to political pressure, according to Reuters. "We've restricted access to it in countries where it is illegal such as India and Indonesia, as well as in Libya and Egypt, given the very sensitive situations in these two countries," the company said. "This approach is entirely consistent with principles we first laid out in 2007." White House officials had asked Google last Friday to reconsider whether the video had violated YouTube's terms of service. U.S. authorities said that they were investigating whether the film's producer, reported to be Nakoula Basseley Nakoula, a 55-year old Egyptian Coptic Christian living in Southern California, had violated terms of his prison release. Basseley was convicted in 2010 for bank fraud and released from prison on probation last June, according to Reuters. PCIA TAPS ADELSTEIN AS PRESIDENT & CEO: PCIA—The Wireless Infrastructure Association has announced that Jonathan Adelstein has assumed the duties of President and CEO of the association, effective this past Monday, September 17. 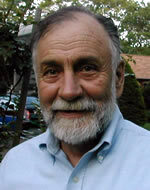 Mr. Adelstein is the former Administrator of the Rural Utilities Service (RUS) and a former FCC Commissioner. John Padalino, who is chief of staff-rural development at USDA and acting administrator of Rural Business and Cooperative Programs, will serve as acting administrator of RUS. GENACHOWSKI SAYS HE PLANS TO IMPLEMENT PCAST SPECTRUM RECOMMENDATIONS: FCC Chairman Julius Genachowski last week joined the President's Council of Advisors on Science and Technology (PCAST) members Eric Schmidt and Mark Gorenberg at Stanford University. Specifically, he announced that the FCC will, by the end of the year, initiate formal steps to implement the key recommendations of the PCAST report, including small cell use in the 3.5 GHz band. Freeing up spectrum in this band will add 100 megahertz to our nation's wireless broadband networks. Genachowski said, "[The recent] iPhone announcement and release of the new Kindle Fire, Windows 8/Nokia Phone, and Droid RAZR by Google/Motorola offer the latest evidence that, over the past few years, the U.S. has regained global leadership in key areas of communications technology. These high-performance devices, and the demands they place on our broadband networks, underscore a critical challenge." He said the FCC "will initiate formal steps by the end of the year to implement key recommendations of the President's Council of Advisors on Science and Technology report about freeing up spectrum in the 3.5 GHz band. This action will represent a major innovation in spectrum policy that will in turn enable innovations in wireless applications throughout the economy, including energy, healthcare, education, and other uses yet to be discovered." WHITE HOUSE CONTINUES TO DRAFT EXECUTIVE ORDER ON CYBERSECURUTY: According to The Hill, the White House is drafting an Executive Order to encourage companies to better protect vital computer systems (BloostonLaw Telecom Update, September 12). But in a letter released last Friday, a White House official said the administration cannot unilaterally achieve all of the goals of cybersecurity legislation and urged Congress to push ahead with its own comprehensive efforts, The Hill reported. Republican senators blocked the administration's preferred cybersecurity bill in July. "Specifically, we are exploring an Executive Order to direct executive branch departments and agencies to secure our nation's critical infrastructure by working with the private sector," the White House said. It acknowledged, however, that the President lacks the legal authority to grant legal protection to companies that choose to share cyber threat information with one another and with the government. Such "information-sharing" was a core piece of the Senate cybersecurity bill and the focus of the House GOP bill on the issue. The White House urged Congress to keep working on comprehensive legislation, including protections for information sharing, according to The Hill. UCLA STUDY SAYS WIRELESS CARRIERS OVERCHARGE ON ACTUAL DATA CONSUMPTION: Citing a Technology Review article, FierceWireless reports that UCLA researchers say a data-counting issue in mobile networks may be causing operators to overcharge their customers for monthly data consumption. The UCLA researchers determined that even typical use of a phone could lead the data to be over-counted by 5% to 7%. The researchers came to their conclusion after using a data-logging app on Android phones to check the data use being recorded by mobile networks. "The carriers were found to usually count data correctly, but they tend-ed to over-count—and hence potentially overcharge—when a person used applications that stream video or audio, and particularly when coverage was weak or unreliable," said Technology Review. According to the researchers, the data-consumption counting problem stems from the fact that operators count data sent over their networks whether or not a handset receives it. Video and audio streaming apps are particularly affected because their protocols do not require the end user's device to acknowledge the receipt of every chunk of data, or halt data transmission immediately, as Web browsers or many other apps do. Thus, video apps might keep sending data over the network long after a device has lost its connection, FierceWireless said. It added that on the flipside, the same researchers found a way to hide data from a cellular network by disguising a data request as a DNS request, which is normally used by a Web browser to convert a user-friendly domain name into its numerical IP address. The researchers said the team was able to use 200 megabytes of data without the carrier recording any of it. NOVEMBER 1: FCC FORM 499-Q, TELECOMMUNICATIONS REPORTING WORKSHEET. All telecommunications common carriers that expect to contribute more than $10,000 to federal Universal Service Fund (USF) support mechanisms must file this quarterly form. The FCC has modified this form in light of its recent decision to establish interim measures for USF contribution assessments. The form contains revenue information from the prior quarter plus projections for the next quarter. Form 499-Q relates only to USF contributions. It does not relate to the cost recovery mechanisms for the Telecommunications Relay Service (TRS) Fund, the North American Numbering Plan Administration (NANPA), and the shared costs of local number portability (LNP), which are covered in the annual form (Form 499-A) that was due April 1. JANUARY 1: CARRIERS MUST NOTIFY CUSTOMERS OF "DO NOT CALL" OPTIONS. The FCC requires each wireline and wireless common carrier (including resellers) offering local exchange service to inform subscribers of the opportunity to provide notification to the Federal Trade Commission (FTC) that the subscriber objects to receiving telephone solicitations. The carrier must inform subscribers of (1) their right to give or revoke a notification of their objection to receiving telephone solicitations pursuant to the national "Do Not Call" database; and (2) the methods by which such rights may be exercised. Beginning on January 1, 2004, and annually thereafter, such common carriers shall provide an annual notice, via an insert in the customer's bill, to inform their subscribers of the opportunity to register or revoke registrations on the national Do Not Call database. BloostonLaw will provide clients with the wording for an appropriate notice upon request. BloostonLaw Partner Richard Rubino has published "Is Your Agency Ready for Narrowbanding" in the Summer 2012 EMS Bulletin of the Virginia Department of Health. The article focuses on what service providers need to know about FCC rules and requirements regarding the January 1, 2013, deadline for transitioning from wideband technology ( i.e., systems using 25 kHz of bandwidth) to narrowband technology ( i.e., systems using 12.5 kHz or narrower bandwidth) (See story below). Mr. Rubino raises several questions and issues regarding the FCC's narrowbanding requirements and their impact on Virginia's current and pending rules for Emergency Medical Services (EMS). That each licensed EMS vehicle (transport or non-transport) must be able to communicate with the receiving hospital. That cellular and smartphones (including 3G and 4G LTE) do not meet the requirement to communicate with receiving hospitals. 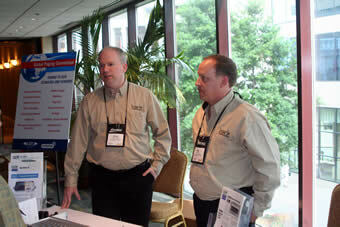 That VHF and UHF radio equipment must be narrowband-compliant by the January 1, 2013, deadline. 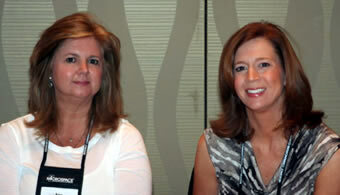 That after January 1, 2013, it will be illegal to operate VHF and UHF radio equipment that is not narrowband-compliant. That failure to comply with the FCC's narrowbanding mandate could lead to enforcement action (including fines of up to $16,000 per violation or up to $112,500 for any single act). Mr. Rubino explains the FCC rules and how service providers should comply with them. A copy of his article is available by contacting Mr. Rubino at rdr@bloostonlaw.com . In addition to his position as a BloostonLaw Partner, Mr. Rubino is President of the Stonewall Jackson Volunteer Fire Department and Rescue squad in Manassas, Virginia and a member of the Communications Committee, a standing committee of the Virginia EMS Advisory Board. To promote the efficient use of private land mobile radio (PLMR) spectrum and to facilitate the introduction of advanced technologies, the FCC has adopted rules requiring certain PLMR licensees and manufacturers to transition from wideband technology ( i.e., systems using 25 kHz of bandwidth) to narrowband technology ( i.e., systems using 12.5 kHz or narrower bandwidth) by January 1, 2013. The FCC's Enforcement Bureau has issued an Enforcement Advisory to remind all private land mobile radio licensees operating in the 150-174 MHz and 421-470 MHz frequency bands (VHF/UHF bands) that they must migrate their systems to narrowband technology by January 1, 2013. The Bureau also reminds manufacturers (subject to the limited exceptions noted below) that they must cease manufacturing and importing equipment that is capable of 25 kHz mode operation in the VHF/UHF bands by the narrowbanding transition dead-line. Employ narrowband-equivalent technology, i.e., a technology that achieves the narrowband equivalent of at least one channel per 12.5 kHz of channel bandwidth for voice and transmission rates of at least 4800 bits per second per 6.25 kHz for data systems operating with bandwidths greater than or equal to 12.5 kHz. PLMR licensees are not required, at this time, to modify their licenses to remove wideband emission designators. However, the narrowband emission designator must be added to the licenses, and wideband operation is not authorized after January 1. Except under certain limited circumstances, equipment manufacturers, as of January 1, 2013, may no longer manufacture and import previously-certified equipment capable of operating with only one voice path per 25 kHz of spectrum in the 150-174 MHz or 421-470 MHz bands. PLMR licensees or manufacturers that anticipate the need for additional time beyond the January 1, 2013 deadline to complete the narrowbanding of their systems or to bring their equipment into compliance with the equipment certification rules, respectively, can request a waiver. However, requests for waivers of the deadline will not be granted absent compelling circumstances, so the mere filing of a waiver request will not excuse non-compliance unless the waiver is actually granted. To date, waivers have for the most part been granted only where, e.g., a public safety entity has shown that it is migrating its communications system to a new frequency band or technology in the near future, such that interim replacement of radios just to meet the narrowbanding deadline could not be justified. Clients that need to re-quest a waiver should contact us ASAP. Penalties for non-compliance may include license revocation, and/or monetary forfeitures of up to $16,000 for each such violation or each day of a continuing violation, and up to $112,500 for any single act or failure to act. On June 8, 2012, the United States and Mexico signed an agreement modifying the international allocation of 800 MHz spectrum in the U.S.-Mexico border region (Amended Protocol), which enables the U.S. to proceed with 800 MHz band reconfiguration in the border region. The FCC's Public Safety and Homeland Security Bureau (PSHSB), on delegated authority, seeks comment on proposals for establishing and implementing the reconfigured 800 MHz channel plan along the U.S.-Mexico border. With the adoption of the Amended Protocol, the Bureau may now implement band reconfiguration in the NPSPAC regions bordering Mexico, i.e., Southern California (NPSPAC Region 5), Arizona (NPSPAC Region 3), New Mexico (NPSPAC Region 29), Texas — El Paso (NPSPAC Region 50) and Texas — San Antonio (NPSPAC Region 53). Consequently, the Bureau pro-poses a channel plan specific to U.S. licensees that operate in all of these NPSPAC regions within the Sharing Zone, i.e., within 110 kilometers of the border. It also proposes a channel plan for licensees operating in the portions of these NPSPAC regions that are outside the Sharing Zone. The FCC's goal is to separate—to the greatest extent possible—public safety and other non-cellular licensees from licensees in the band that employ cellular technology. Furthermore, the Bureau seeks to maintain the ability of public safety licensees operating in the Sharing Zone to inter-operate with counterpart licensees both inside and outside of the Sharing Zone. Similar to reconfiguration in all other NPSPAC regions, the 800 MHz Transition Administrator (TA) will assign licensees post-band reconfiguration replacement channels based on the channel plan the FCC adopts in this proceeding. Sprint will then be responsible for paying the minimum reasonable costs of retuning incumbents to comparable facilities on their replacement channels. The Bureau cautions that in some cases there is likely to be little room for adjustment to the channel plan it proposes due to the limitations on spectrum use in the Sharing Zone combined with the requirement to accommodate all incumbent licensees within a region with comparable post-rebanding replacement channels. None-the-less, the Bureau seeks comment on any alternatives to the Mexico border proposals. It also seeks comment from individual licensees on any particular factors that they believe should be considered when assigning replacement channels, e.g., the need for channels with a wide emission mask to accommodate data systems. Comments in this WT Docket No. 02-55 proceeding will due 30 days after publication in the Federal Register, and replies will be due 15 days thereafter. Published: Wednesday, September 12, 2012 at 4:07 p.m.
Last Modified: Wednesday, September 12, 2012 at 4:07 p.m.
Wireless communication has fascinated Ron Toler for most of his life. 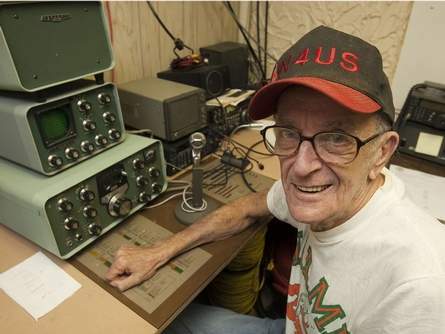 He got involved in amateur radio, commonly called "ham" radio, when he was 12, got his first ham license in 1955 and spent a career at Motorola as a quality assurance engineer until he retired in 1998. On Tuesday, fellow hams honored Toler before he gave his last exam to aspiring ham operators at Green Clover Hall at the McPherson Governmental Complex. For nearly 20 years, Toler was a volunteer examiner and taught classes to those seeking their first or upgraded licenses. He has shepherded hundreds of people through the process. "I'm not giving up the hobby. I'm just not going to give exams. It's time for somebody else to have a shot," said Toler, who has taught at the Silver Springs Radio Club building for the last six years. Some of his past students attended the celebration, including Paul Klawuna. "He's a man that if you give him a job, it would get done and get done right," said Klawuna, who has taken three licensing exams under Toler. "He always knew the answer off the top of his head. It was absolutely amazing," Klawuna added. For Toler, the chance to teach newcomers was a privilege. There is no pay and little recognition. "It was so freely given to me when I started. This is a way I can give back to the new hams starting out," he said. "You get the self-satisfaction of teaching. Every class that's been in here, everyone has passed the class. That's rewarding." Ed Biederwolf, who is taking over for Toler, said he is cognizant of the void he has to fill. "What's it like to take over for a legend? Fortunately, Ron has run this so well for so long it runs like a well-oiled machine," Beiderwolf said. Toler said health issues mostly led to his decision, not a loss of zeal in the hobby. "I don't know what I would do if I wasn't a ham radio operator," he said. During his time as an amateur radio enthusiast, Toler has made contact with at least one person in every one of the more than 3,000 counties in the United States. But it's the sense of wonder he gets from contacting someone over the air that has kept him fascinated for so many years. "I was talking to someone in India this (Tuesday) afternoon. They were coming in crystal clear here in Ocala," he said. It's that same sense of wonder that ties so many to the hobby. Biederwolf lights up when he talks about the ham system in his car. "It covers all bands. I can talk to people anywhere in the world. It's really something to pick up your microphone in your car and talk to someone in New Zealand," he said. But ham radio is more than just a hobby. During local or national emergencies, ham operators are the last line of communication. Many operators volunteer and drill to prepare for such emergencies. Locally, in the event other forms of communication were knocked out, the Marion County Amateur Radio Emergency Service would relay official communications between agency, state and national headquarters. Still, it's simply the ability to communicate that is as the heart of the hobby. "I've talked to people over the air regularly for years that I have never met," Toler said. My first experience with radio communications began in late 1969 with a community radio system called Radio Kenomadiwin. Since then, I have managed UHF/VHF land mobile engineering teams, developed digital cellular base station & mobile station equipment, designed and implemented nationwide integrated 1-way & 2-way paging systems, developed GPS and assisted GPS networks and devices, and et cetera. For several years from 1988 on, I chaired many of the subcommittees and working groups involved in the development of standards for North American cellular systems and stood as editor for many of those standards including the original ANSI EIA/TIA 553 analog cellular document. 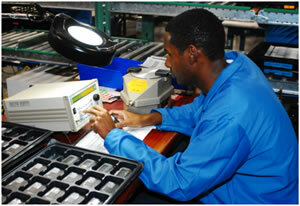 I also hold a number of patents in the area of land mobile communications and GPS. I mention this simply in order to provide some context for my comments and their potential credibility. In the arena of public safety communications, one can generally postulate two broad modes of operation. In one, the problem has not impacted radio communications and is not likely to do so. In the other, the problem has impacted radio communications or is highly likely to do so. Oriented as it is towards broadband systems such as LTE, your report is almost entirely within the domain of the first class of public safety issues. As such, and in my humble opinion, it almost totally neglects those significant disasters in which communications infrastructure has itself been compromised. Examples of these scenarios include 9/11, Hurricane Andrew, Hurricane Katrina, and so on. In each of these cases, the single point of failure designs of cellular networks were tested and found wanting. Any cellular system is, on the basis of its fundamental design principles, a single point of failure network since the served region is divided up into cells and those cells are served by a single base station transceiver with a single backhaul mechanism on a single antenna array and often with a single source of power. There are any number of events associated with man-made and natural disasters that can take out a base station either directly or indirectly: cutting or grounding of back haul cable or fiber, damage to cable or fiber repeaters, physical loss of antenna towers, loss of the electrical grid in the vicinity of the base station, electromagnetic pulse, etc. These events can happen due to high winds, flooding, fire, building collapse, intentional attack, and so on. Less often pointed out, but equally important in the case of an extended disaster, is the simple fact that almost no modern mobile device can use replaceable non-rechargeable batteries. If a mobile device can last only 8-12 hours on a Li-ion [ lithium-ion ] battery and the electrical grid is dead for days, all the functioning broadband wireless on the planet is of little value. Even within the context of a functioning broadband system and a public safety event that has not compromised radio communications, your report points out many issues with such single point of failure networks. One is capacity management. There is a relatively common and yet thoroughly fallacious notion that offered load to any communications network (whether wireless or not, whether voice or data) is distributed as a Gaussian or normal distribution. In fact, almost all real offered load is distributed as some form of power law curve; that is, one with no measure of central tendency at all. Instead, almost all sources of load offer little or nothing, moving uniformly and smoothly to very few sources that offer huge amounts. Another feature of real load is that it tends to be highly correlated, and this is especially true in disaster or emergency scenarios. When an accident occurs, everyone on the freeway calls 9-1-1. When the bank robbers are making their getaway, everyone calls 9-1-1. When the CU Buffs finally score a touchdown, everyone calls 9-1-1; and so on. My point here is that many people almost never use their mobile device. But when they do, they all do so together. This is the way of the competition for available bandwidth in emergency situations. Many networks designed specifically for tactical applications have controls for bandwidth allocation. The introduction of this sort of control on public land mobile networks yields strains between emergency responders who have a natural desire to peel off a fixed amount of access for themselves versus the public who expect to use the network they've been paying for when they finally have an important reason to use it. Tactical land mobile networks have other features not generally used in Commercial Mobile Radio Systems (CMRS); e.g., push to talk to a tactical group. This is more than just push to talk. It involves the coordination of group membership and the dynamic allocation of membership by some appropriate administrator, who may themselves have been dynamically allocated that control. A simple scenario might involve fire departments in adjacent regions. In many situations, these departments operate independently. In some situations, they will each respond to some common disaster and the coordination of their tactical efforts, and hence tactical channels, will have to be achieved under some common administration. During response, new responder teams may become involved and then leave. The implementation of access to bandwidth and control on a public land mobile network for tactical access by emergency response authorities, and automatic recognition of their chain of command, raises many and more policy issues about the fair allocation of resources and costs, let alone the design and implementation of network and specialized mobile equipment itself. There is yet another potential dark side to this issue. Should the disaster in question have any hint of man-made, terrorist or criminal activity, the immediate desire of law enforcement will be to monitor or possibly block public communication in order to gain information about a foe, real or imagined, or to limit that foe's own communication channels. This “dark side of the force” issue raises many and more policy questions again concerning the extent to which emergency responders should have their hands on CMRS networks in critical response situations. Another issue in functioning broadband wireless systems is in-building penetration. A typical cellular system is designed to achieve a certain carrier to interference ratio (CIR) at the cell boundary. It is important for capacity reasons not to exceed this design point, otherwise the interference in adjacent cells rises to a level that compromises cellular reuse. Unfortunately, a typical building may introduce an additional loss of 10 to 20dB or more on both forward and reverse paths. If that building happens to be near a cell boundary, then achieving the necessary link power to overcome the building loss on the forward channel automatically defeats the CIR design point. Over the years, many cellular providers have compensated for this problem by placing repeaters in buildings in order to improve in-building coverage. This has been a reasonable and economic decision for large malls, office buildings, subway stations, airports, and similar structures where occupancy makes the business case. However, these in-building repeater systems are generally provided with even less redundancy than the standard base station. This implies an even greater likelihood of communications failure in situations where personnel are trapped in buildings. This would be as true for members of the public caught in a building collapse, for example, as for fire fighters in a burning building. A related issue for emergency responders is the functionality of embedded GPS devices in their mobile units. The GPS system was designed for operation in more or less clear sky conditions with optimal sensitivity for mobile receivers with complex circularly polarized antennas capable of obtaining signals from 6 to 8 satellites. A GPS device embedded in a mobile radio using a dipole antenna and operating in an office tower is significantly compromised with respect to the original design model for military operation. As a result, almost all of these devices require some form of “assistance” so that the GPS chipset, which can consume nearly 100mA on its own when running, can be enabled only for a short interval of time when a fix is required. Such assisted GPS chips require complex network side support but provide the advantages of improved sensitivity in-buildings, improved battery life due to the short duty cycle of the chip, and improved acquisition time for the GPS satellite signal. Unfortunately, in the real world, the best of these assistance mechanisms is controlled by Snaptrack and its parent company, Qualcomm, who has a strategic technical interest in limiting access to this technology only to networks where it earns significant patent royalties. It should go without saying that it can be critical to locate an “officer down” in an emergency situation in the most accurate and timely manner possible. That access to the technology to do this is limited by some organization's patent policy is troubling to say the least, IMHO. There have been, and remain, good solutions to these problems in systems designed specifically for emergency and tactical applications. Such systems build in redundancy both within the network and at the air interface. A common mechanism to achieve network redundancy is simply the use of multiple elements of equipment and backhaul to limit the possibility of any single point of failure from taking out the network. Likewise, redundancy in the air interface can be achieved through simulcast mechanisms or the provisioning of significant overlap in coverage or both. 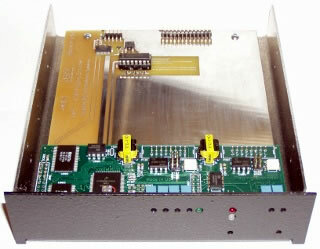 As well, the use of multiple base station receivers to provide reverse channel redundancy is a natural mechanism. In-building penetration is achieved by avoiding cellular style systems in which carrier to interference is a design factor and working instead with dedicated bandwidth allocation schemes in which carrier to noise ratio is a limiting factor. On the mobile side, operation on replaceable non-rechargeable batteries is essential in the case of any extended disaster scenario. The ability to transmit true broadcast traffic on the forward channel to a multiplicity of devices without incurring any significant bandwidth issues is of great importance in communicating common traffic both to the public and to emergency responders. While almost any individual who has become interested in mobile communications over the last 10 years will consider what I am about to say truly laughable, almost all of these attributes have been embodied in paging networks. It goes without saying that the common view of paging is that it is an archaic technology, justifiably headed for the junk heap. The fact of the matter is that the most recent round of 2-way paging networks, e.g., ReFLEX and InFLEXion from Motorola and pACT from ETSI, were designed in the late 1990s and incorporate many of the lessons learned from digital cellular systems such as the GSM, CDMA, and so on. As well, and oddly enough, Snaptrack assisted-GPS has been licensed to operate on such networks although the licensee is engaged in a law suit with Snaptrack and Qualcomm and has suspended operations at least until that suit is settled. [I should point out that I personally have an interest in the outcome.] It is true that these are narrowband systems that were never designed to offer streaming video; for example. However, it seems to me that these specialized designs are far closer starting points, in terms of satisfying the broad set of requirements of first responders than what could ever be delivered on CMRS broadband systems strictly on the basis of their inherent design criteria. The bottom line on this set of comments is that it would probably be a more sound approach to begin with a set of networks whose design goals have yielded results that closely satisfy the essential elements of a public safety network, and then improve their bandwidth, than to begin with a network that has the desired bandwidth and delivers on none of the essential elements of a public safety network. P.S. I have copied these comments to Brad Dye, a long time friend, who publishes a newsletter for the critical messaging sector. This reminds me of the old joke, “ask an engineer what time it is and he or she will tell you how to build a clock.” This is precisely why Allan has been my “go to” for several years for an accurate and complete answer to my questions. He has never laughed and said, “What? You don't know that!” Or like some engineers have asked me, “Why do want to know that?” (As if I wouldn't be able to understand it.) He is a good teacher and has always patiently answered my questions, for which I am very grateful. Seriously: Scientists and Engineers like Allan Angus have been responsible for most of the wonderful technology that has been developed in North America—just in the lifetimes of many of us who are still living. I have seen electronics go from vacuum tubes, to transistors, to integrated circuits and now to microprocessors that include incredible numbers of transistors. As of 2012, the highest transistor count in a commercially available CPU is over 2.5 billion transistors. This science seems like science fiction. Almost everyone with a high school education is familiar with the Gaussian or Normal distribution. One reason for this is that the student's scores from exams or complete terms are “graded on a curve”; that curve being a Normal probability law. (For those interested in more detail, I'll be referencing several Wikipedia articles, and the one for the Normal curve is at http://en.wikipedia.org/wiki/Normal_distribution ). The red curve is the standard normal distribution. The two important parameters of the Normal curve are its mean and standard deviation. The mean is a measure of its “central tendency”; that is, the single and preferred location around which the most probable values are bunched up. 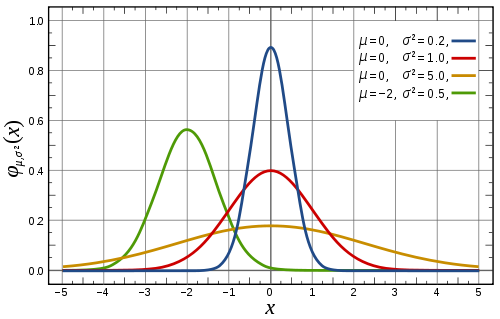 The standard deviation measures the spread of the distribution. A discrete variation of the Normal curve is important in traditional communications theory. This discrete form is the Poisson distribution (see Wikipedia article here: http://en.wikipedia.org/wiki/Poisson_distribution ). The Poisson distribution is of use in counting discrete events that have some expected rate of arrival; e.g., 10 calls per hour or 5 packets per millisecond or even 800 bits per packet, and so on. Agner Erlang employed the Poisson distribution when he modeled offered load on telephone systems and came up with the various models that bear his name now (see Wikipedia article here: http://en.wikipedia.org/wiki/Erlang_(unit) ). The concept is very simple; if a call arrives on average once every T seconds and lasts for M minutes, according to a Poisson distribution, we can begin to work out how likely our network is likely to block traffic. It is natural to assume that offered load works this way in many communications systems; e.g., paging networks. However, the truth is stranger than this convenient fiction. In practice, offered load on many networks looks more like a Power Law distribution (see Wikipedia article here: http://en.wikipedia.org/wiki/Power_law_distribution ). A simple and commonly used model for such scenarios is the so-called “80-20 rule” aka the Pareto principle (see Wikipedia here: http://en.wikipedia.org/wiki/Pareto_principle ). Such a rule as applied to network traffic might go something like 80% of your traffic comes from 20% of your customers. 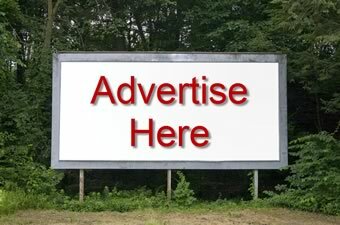 The converse would naturally be that 80% of your customers only offer 20% of your traffic. By tuning some of the elements of the Pareto principle, one can come up with similar statements like 90% of the load comes from 10% of the subscribers or 1% of the population has 99% of the wealth, and so on. An example power-law graph, being used to demonstrate ranking of popularity. To the right is the long tail, and to the left are the few that dominate (also known as the 80–20 rule). I believe that one of the first modern scientists to work on a Pareto principle in communications was Benoit Mandelbrot at IBM. He analyzed data errors on modem calls into IBM data centers and concluded that the arrival rate of errors was not distributed as Poisson (or normal statistics) but rather as a Pareto law. 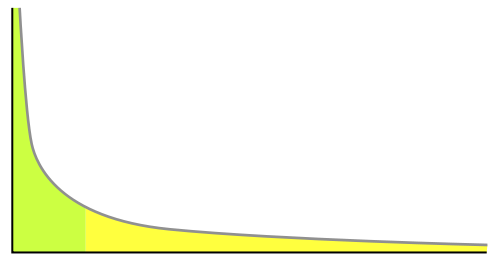 By now, it is commonly accepted that the arrival rate of data errors, of packets, of the length of error bursts, of hard disk failures, and any number of other communications phenomena are more properly accounted for as power law distributions or possibly as “long tail distributions” (see Wikipedia article here: http://en.wikipedia.org/wiki/The_Long_Tail ). A discrete form of these power law curves that is more suitable for consideration in, say, paging or other wireless data networks, is due to Zipf (see Wikipedia article here: http://en.wikipedia.org/wiki/Zipf's_law ). Zipf studied that frequency of occurrence of words in spoken languages and concluded that they appeared to be distributed in accordance with a power law. For example, the most frequent word in any English text is “the,” which occurs about 7% of the time. The next most frequent word is “of” which appears about ½ as often at 3.5%. And so on. Back at WebLink, we (Larry Martin) patented a couple of speech-to-text conversion methods that were based on this Zipfian model of the English language, recognizing that a relatively small set of words could be used to capture over 99% of text messages. Zipf associated his observations with a "principle of least effort"; that is, humans wanted to use the least number of words in order to convey their message. This principle of least effort may also be behind the behavior of subscribers to paging systems. Why send a message if you don't have to? My recollection of the typical high-traffic source on the WebLink network would have been a computer system designed to report that it was still working every few minutes. However, there were very few of these. On the other hand, many subscribers never sent or received a message in any given month, while another large fraction only sent or received fewer than three pages. In other words, a Pareto/Zipf model was appropriate. That's interesting so far as it goes, but there was another dynamic at work. There would occasionally be “catastrophes” of offered load when all of those folks who rarely or never sent a page all got together and delivered their one page a year (or month or day). That is, the same reasons that motivated one of these folks to send a message motivated a large proportion of them to do the same. As often as not, this would be some compelling event; e.g., a major accident, a major storm, a major sporting event, etc. I imagine that it's the same with Twitter now. Some news-worthy bandwagon comes by and everyone hops on it with their mobile devices and starts texting away, in effect. I recall having the greatest difficulty explaining this to other senior managers at WebLink. The idea that every random event in the universe must be in accordance with a Normal distribution is deeply ingrained, I guess. I eventually dug up traffic reports for every paging terminal in our network, produced the graphs on a monthly and yearly basis and produced curves very much like those in the Zipf article on Wikipedia. Even then, my data was considered suspect. Management had the view that there had to be two Normal distributions at work: one for average people and another for “cheaters.” They expected to see a combined distribution with one mean for the average subscribers and another, higher mean for cheaters (meaning people who were trying to get something for nothing . . . a very Romney-esque point of view). They were quite disturbed to see smooth distributions with no apparent means at all. I raised these important background issues in the context of capacity management on public safety communications systems since a failure to recognize the fact that the statistics of offered load in an emergency cannot be estimated on the basis of some fudge factor over a “mean”, non-emergency load. There is no such thing as a “mean” offered load. There is no such thing as a “standard deviation” of offered load. So adding 1 or 2 or 6 standard deviations over the mean doesn't get you anywhere. Any such guesstimation will severely underestimate traffic. For a system in which a Pareto (80-20) rule is at work, only a fraction of subscribers offer load in any average observation window (hour, day, week, month . . .). Under emergency circumstances, that rule is inverted; e.g., the computer that would normally report its “up” status every five minutes is now off the air, its service engineer is being paged, and all of the little old ladies who never get messages are trying to be contacted by every family member because of the big storm. More like as not, the LTE network is itself also down: and its techs are being paged. Wink wink. So, under the general heading of Zipf's principle of least effort and the idea of “why send a message when you don't have to?”, consider that when there is a common state of emergency, that is exactly when almost everyone has to send a message. And that's it. . .